Tired of always being picked last for the team? Have you had enough of being made to play right back…on the bench? Well, worry no more! 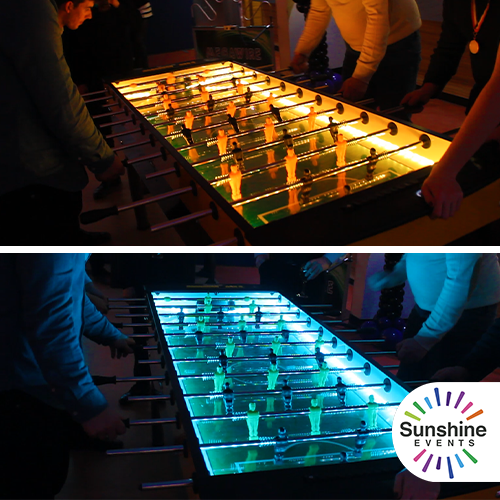 Our brand new Party Football Table allows up to six (yes you heard correct) players to compete at any one time. No longer will you have to swap out your underperforming colleague for a quick substitution, just add on another player. 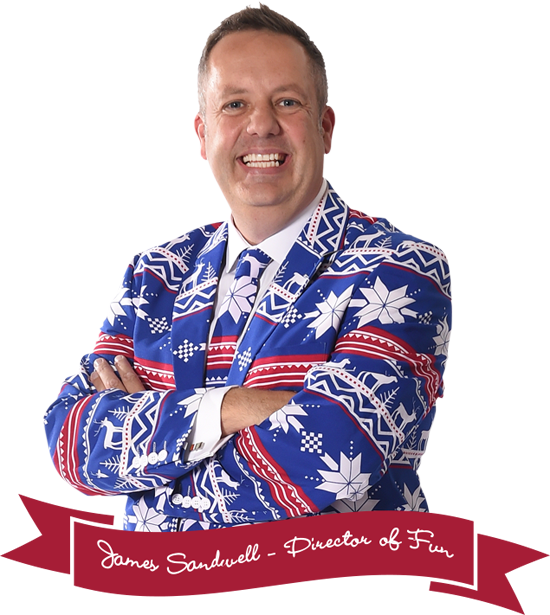 Maybe there's an in-office bet between HR and Sales that needs settling? 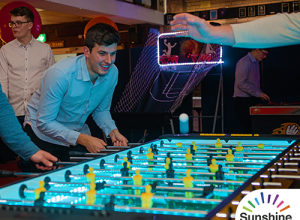 If you’re looking for a perfect corporate event idea, or just looking to increase your employee engagement, the Party Football Table is the perfect accessory to any event when looking to bring the excitement and camaraderie. 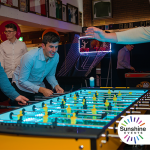 What events are the Party Table Football suitable for? It's huge - it can take up to 6 players! 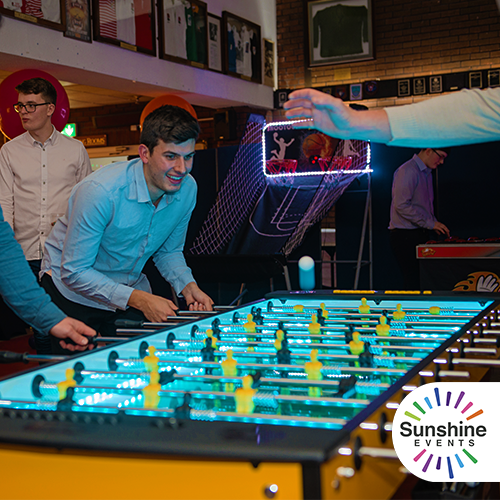 This very large football table is available now for your event...bare with us one moment, the Fun Experts are just having a quick game! Access Requirements: please note that a width of 1.2m is required when moving the equipment through doorways and corridors. If you feel that access may be an issue, such as stairways or lift access, uneven surfaces, obstructions or perhaps long distances then please mention this in your enquiry. 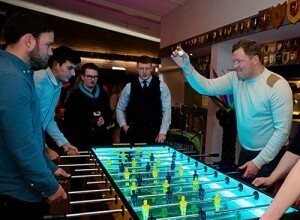 Party Table Football Hire has been added to your Event Quote.